Devenish said it has transformed the pig and animal feed industry in Uganda, having invested more than £1 million developing its business in the region since 2015. The investment, which is part of Devenish’s ‘One Health’ model, linking the health of soil to the health of society, is aimed at transforming the pig and feeds industry in Hoima, Western Uganda, by introducing high-quality products to farmers for the first time and helping them transition from subsidence to sustainable commercial level farming. 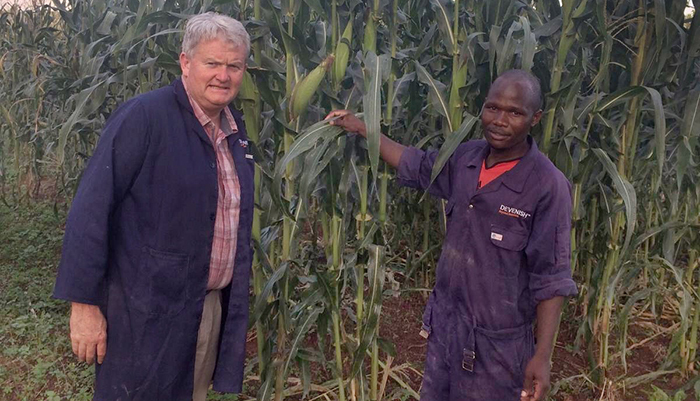 Michael Maguire,Devenish’s East African director,said: “Our aim is to promote and encourage sustainable agriculture whilst enriching livelihoods in Africa. We have seen significant progress in this area and as one of the leading employers in the region we are proud that 95% of our staff come from the local Bunyoro region.